Are you looking for a delicious potato recipe with a difference? If you are, you’ve found it! Here’s my potato and roasted pumpkin gnocchi for you to enjoy. Gnocchi is a firm favourite of the ladies in my life – my wife and my daughter Mia. Rather than just preparing the traditional plain gnocchi with a tomato-and-cheese-based sauce all the time, I wanted to try and create gnocchi that had so much flavour in their own right that a sauce wasn’t even needed. This is what I came up with. I have also tried replacing the pumpkin with butternut squash, which works just as well. 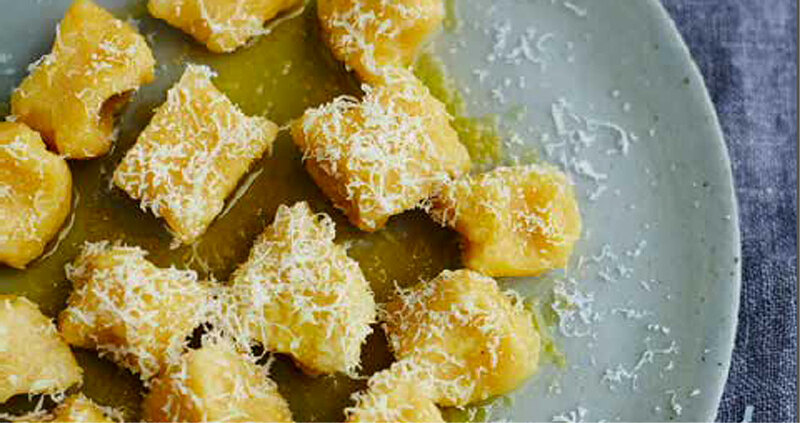 Feast your eyes on the finest potato and roasted pumpkin gnocchi! It’s straightforward and fun to make this great dish. Simply follow the instructions below and get the perfect result. Place the potatoes, skin on, in a large saucepan with 1 tablespoon of salt. Cover with water and bring to the boil. Boil for 30 minutes until softened and then, when cooked, drain, peel and put them through a ricer while still warm. Set aside. Put the pumpkin cubes in a large baking tray and drizzle over a little oil to coat lightly. Sprinkle over the chilli flakes, rosemary leaves and season with salt. Mix everything together and roast in the oven for 30 minutes until tender and softened. Put the roasted pumpkin through a potato ricer and add to the potatoes, stirring well to combine. Place the mixture on a clean surface and make a well in the centre. Add the eggs and season with salt and pepper. Gently knead the mixture with your hands. Add the flour a little at a time and work quickly, as the longer the dough is worked, the heavier the gnocchi become. Lightly dust a work surface with flour and shape the dough into several long rolls about 1.5cm in diameter. Cut each roll into 1.5cm pieces and set aside ready to be cooked. Bring a large pan with salted water to the boil. Gently lower half of the gnocchi into the water, and cook, stirring gently, until they rise to the surface – about 2 minutes. Remove with a slotted spoon, drain and transfer to a large, warm serving plate. Repeat until all the gnocchi are cooked. 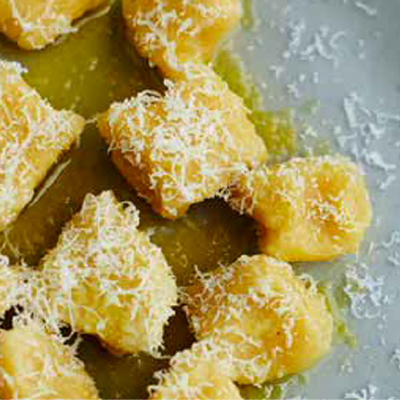 Serve drizzled with olive oil and sprinkled with Pecorino and a little white pepper. 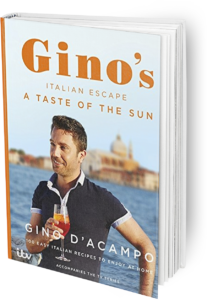 Once you’re done, simply sit back and enjoy your potato and roasted pumpkin gnocchi and don’t forget to check out other great authentic Italian recipes including great antipasti recipes, Italian pasta recipes, Italian soup recipes, Italian beef dishes and authentic pizza recipes.